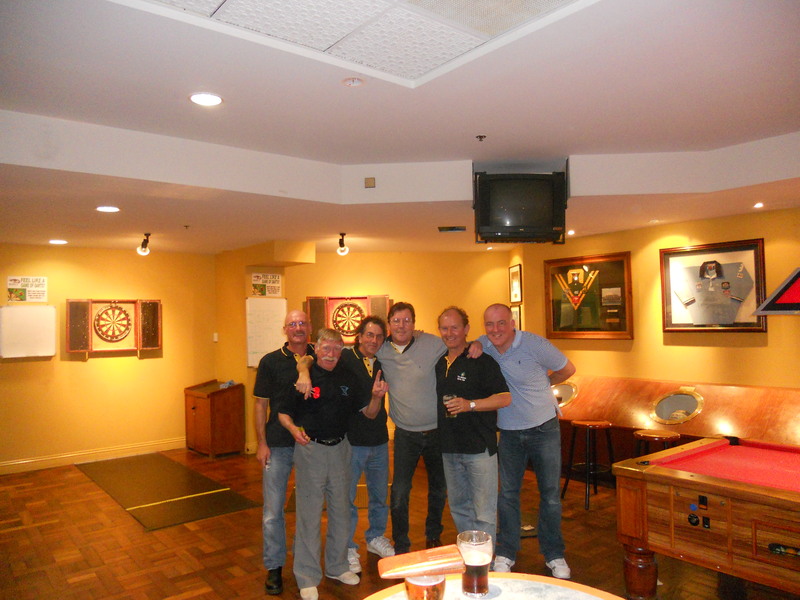 The major semi final of the ‘B’ grade Manly Warringah Darts comp was held Tuesday night(normally Wednesday but moved because of the State of Origin match) between Dee Why Builders 1 (Maggie and Ted’s team) and Dee Why Builders 3 (formerly the Fisho’s team). The game was staged at a neutral venue (not completely sure why as both teams are from the same club) – the Eagles Nest room, the Manly Leagues club. This area has its own bar, couple of dart boards, pool tables and is adorned with memorabilia of past great Manly league players. I was there after the Manly/Cowboys game and it was packed …. there was a smaller crowd on Tuesday night. The Dee Why Builders 3 side had the bare six players and Bob the captain picked the following pairings of lambo/pommy_ch, spook/Craig, and Bob/Martyn. A fairly tight encounter ensued with plenty of tons, 60’s and 26’s …. after the 1st four legs of doubles it was all square at 2-2 each…… at the end of doubles each of the Builders 3 pairings had managed to win 2 out of their 3 respective legs leaving the game at 6-3 to Builders 3. Two more legs required for the win and this was completed by Spook and Craig (who closed the match out). No need for some of us to play singles. So onto the final in a couple of weeks time … Dee Why Builders 1 have now to play the winners of the minor semi final which was also played last night (the winner being Pittwater RSL). Would have to say good luck to our opponents from last night the builders 1 team (we are same club after all). Also last night found a draught beer which may not have been sighted on BOTF, a Bruers Natural Bright Beer. 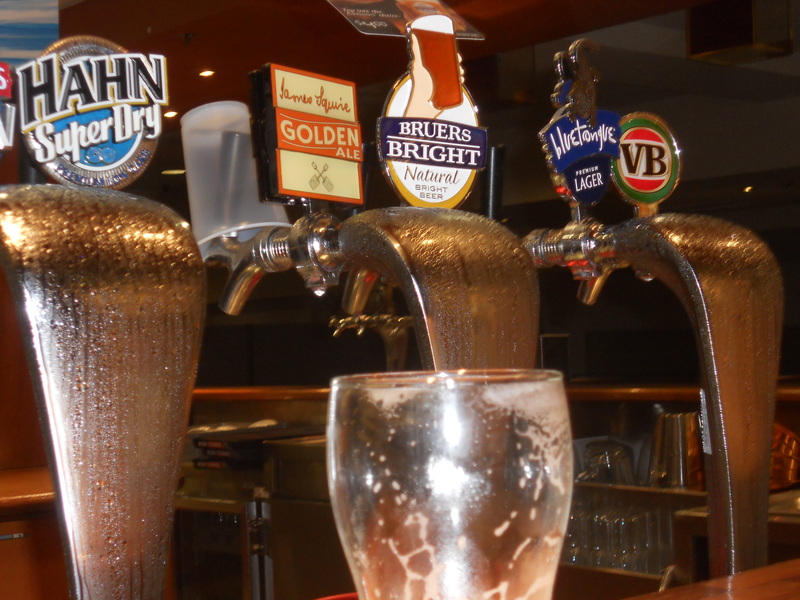 A fairly light and bright lager, sorry managed to cut off the schooner in the picture …. but apparently this beer is part of the Blue Tongue Family (Pacific Beverages) and is a trial beer which has been distributed to 65 premises on the eastern seaboard (obviously the Leagues club is one of them). It was OK, colour was lighter than a VB (wee colour comes to mind), not as bitter as VB, easy to drink and would be good on a hot summers day. It is worth trying out.